Indulge your senses with the stunning Kate Spade New York® Bright Ideas Cluster Studs. Multicolor glass and epoxy stones. 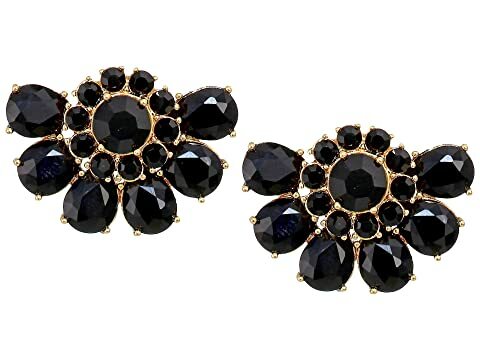 We can't currently find any similar items for the Bright Ideas Cluster Studs by Kate Spade New York. Sorry! Overall: Rated: 1 stars! Comfort: Rated:1 stars! Style: Rated:5 stars! I ordered the gold and while they are beautiful, they're also poorly made. The first pair I received had bent prongs and the second pair was missing stones. They are heavy on the lobe but are a good sized earring that has presence.